Mineral, raw clay is 100% natural and notably sun dried. For centuries, many civilisations have used life-giving clay for therapeutic purposes. 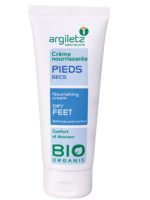 Since 1953, Argiletz has increased its research and quality controls to provide you with the greatest benefits. In whatever colour and form, all clay and clay-based products respect the Natural Quality Charter. All these products are dermatologically tested on volunteers. Their raw materials are exclusively derived from plants and minerals. Totally neutral, white clay respects all skin types, even the most sensitive, while ensuring their beauty and softness. And thanks to its incredible brightening and decongestioning power, it helps instantly reveal the skin’s radiance while providing deep-down replenishment.